#JungleBells With The Body Shop*! 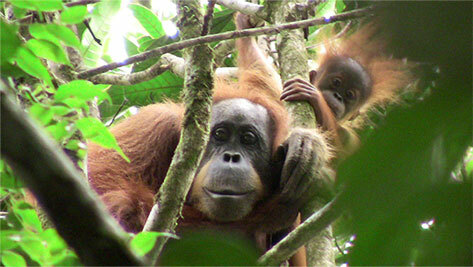 Want to help save the Orangutan this Christmas!?!? With The Body Shop #JungleBells you can! It's easy, with every specially selected Christmas gift, The Body Shop will help to protect endangered creatures and restore 1 square metre of rainforest! That's pretty incredible when you think about how many awesome gifts there are to choose from and we all know how much we love receiving The Body Shop at Christmas (or at any time of year really!). Every specially selected Christmas Gift will bring a donation of 4p which will go directly to funding Bio-Bridges in Vietnam, Malaysia and Indonesia. So far they have raised enough to secure 11,262,651 square metres of rainforest, with an aim to raise 14 million square metres of funds by the end of 2016. The animals The Body Shop are hoping to protect include Reggie the Red-shanked Douc in Vietnam, Sumatran orangutans and tigers in Indonesia and Malayan tigers and Asian elephants in Malaysia. By saving rainforest and constructing bio-bridges and wildlife corridors, it is hoped that the animals will be better able to move freely between different areas and territories. Some of these animals are the world's most endangered rainforest animals, and as has been shown in the critically acclaimed Planet Earth II it is up to us to protect them and give them back the green they so rightly deserve. You may ask, what exactly IS a bio bridge?! Well, let me explain. A bio-bridge is a restored wildlife corridor in the rainforest which help the animals which live there to move freely and not come into contact with humans who may take it upon themselves to shoot any animal they deem a threat to their livestock or livelihoods. It also allows animals of the same species to meet and mate who may have been cut off due to human activities like illegal logging. We created this mess so it's upto us to put it right. So Sarah, tell me, which products can i buy to help protect the animals this Christmas?! Well, I'm pleased you asked!! 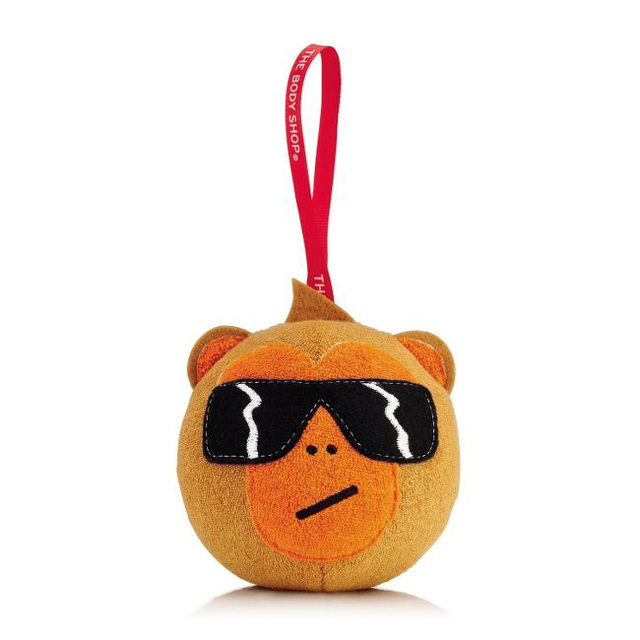 There are a whole range of gifts available which will automatically give to #JungleBells this Christmas!! How about this adorable Reggie bath sponge??? The perfect stocking filler for those little monkeys in your life!! Reggie the red-nosed Docu will be sure to bring smiles and fun to any bath time! This gorgeous Shea Butter set makes the perfect gift for the woman in your life, whether that be your wife. girlfriend or Mum I'm sure they will be wild with delight to find this under the tree this Christmas!! Packed with everything she'll need for a night of pampering including Shower Cream, Body Butter, Eau de Toilette, Body Whip and Hand Cream. I know I am pretty excited to get stuck into it and knowing that it helps save the rainforest and all the animals within it?? Double win if you ask me!! And not forgetting the man in your life, this men's shaving kit includes everything he could need to have that perfect shave every morning. 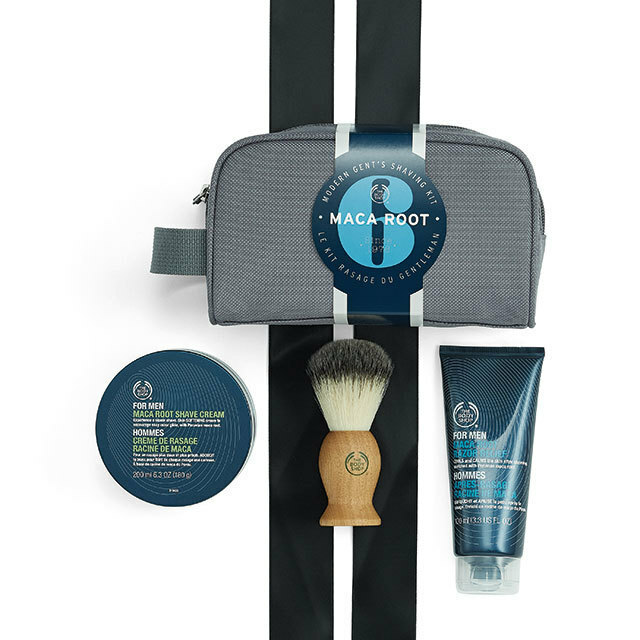 Includes Maca root shave cream, Maca root razor relief and a cruelty free shaving brush. Perfect for Dads, boyfriends, cousins, partners and husbands. 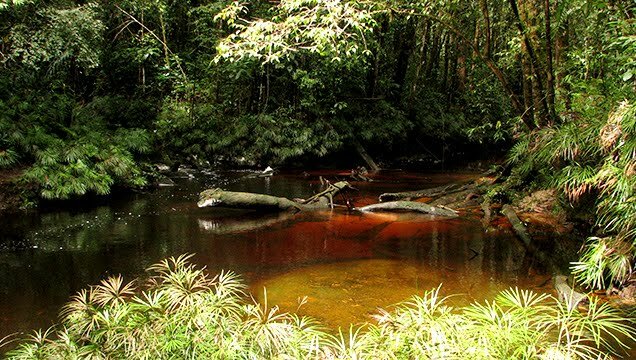 The World Land Trust (WLT) is an international conservation charity, which protects the world’s most biologically important and threatened habitats acre by acre. Since its foundation in 1989, WLT has funded partner organisations around the world to create reserves, and give permanent protection to habitats and wildlife. The Body Shop has a relationship with WLT dating back many years. So there you have it, I hope I've given you a little bit of an education as well as some last minute gift ideas! Giving with a conscience this year with The Body Shop #JungleBells. Merry Christmas To All And To All A Goodnight.